In my last blog post, I talked about the general concept of building an Ableton template for live performance. There are many different ways you could use Ableton Live on stage. Everyone will have a different approach and a different Ableton template. The problem is with so many options many people have a hard time figuring out the best place to start. In this blog post, I am going to focus on DJing with Ableton Live and building an Ableton template for DJing. 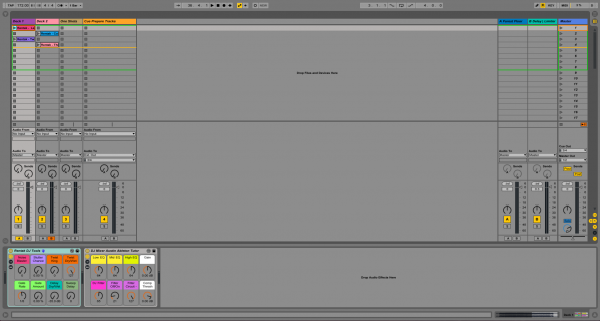 DJing with Ableton Live – A DJ basically plays fully produced tracks to create a mood or vibe. You could be playing other people tracks, your own tracks, or a combination. DJ’s can somewhat ignore my first rule of performing live. Which is, “Never touch your laptop.” Mainly because you will probably have to be dragging songs from Live’s browser into your live set. You will need to warp all your music in order to DJ in Ableton. Warping keeps everything in time while maintaining the pitch. Warping songs in Ableton Live relatively easy. I made a video about warping tracks in Ableton Live. Warping most electronic music takes just a few seconds. A difficult track can take about 5 minutes. Just spend some time mastering the art of warping. Organization is also very important. You will want to organize all your songs. Ableton is not DJ software so you will need to do it on your own. Some people use iTunes and drag from iTunes into Ableton. I recommend just building a DJ Crate style file structure and drag from Live’s browser. 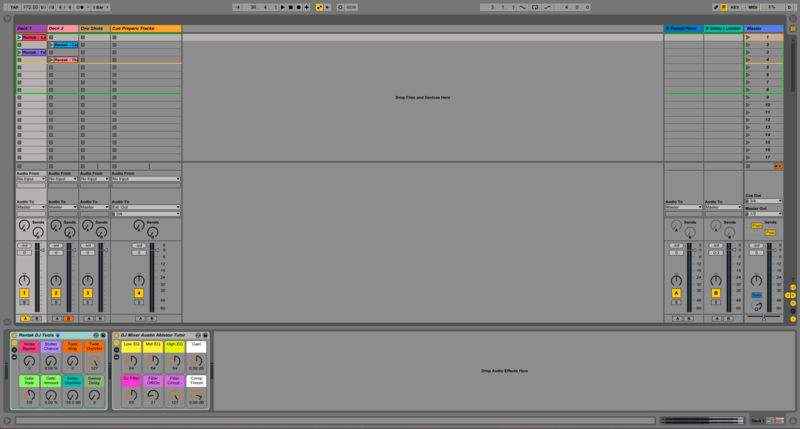 If you use Ableton Live’s browser you will not have to jump between two programs while DJing. Learn about “Harmonic Mixing” and check out Mixed in Key. Harmonic Mixing is method of making sure that the songs your mix together are in the same key or relative key. Most people will notice the blend as sounding bad or good. Mixed in Key will help you to organize music based on harmonic quality. Yes, it takes a bit of time to organize your files, but that is part of being a DJ. DJ’s have to organize whatever medium they use, be it vinyl, CD’s, or digital. 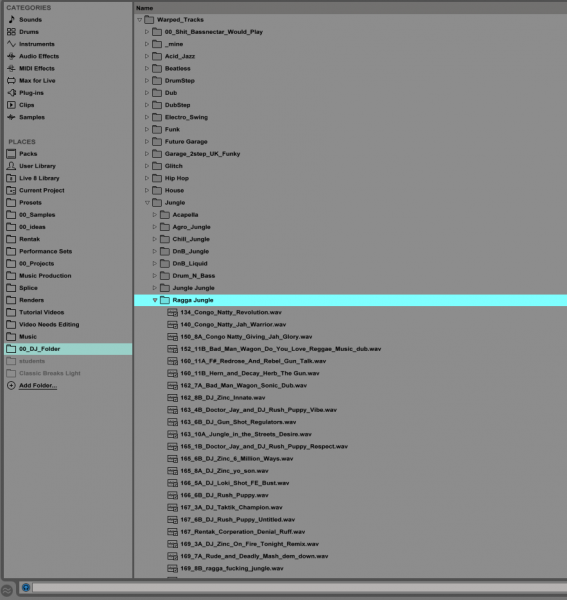 Staying organized enables you to create fluid on the fly DJ sets. You will be able to react to the crowd much faster to shape the vibe. One major area that Ableton lacks is cue points. You can use a method of breaking a song into multiple clips. Then saving each song as an Ableton Live sets. So you can drag the clips as “cue points” into your Ableton template while your DJing. I feel this method is very time-consuming and not very elegant but it can work. If you are going to go down the road of DJing in Ableton Live I highly recommend the Isotonik DJ Collection. You will need Ableton Live Suit to use these Max for Live patches. They cost a little money but considering the hours you save it is pennies on the hour. The Isotonik DJ collection comes with DJ Hotcues so you can have cue points in Ableton Live. The Cue points save with the clip. plus DJ Slicer and DJ Looper. The main benefit of DJing in Ableton is you can just use the same software you use to produce, and you can expand your set to other styles of live performance and still have a core DJ template. Check this out on my downloads page I have a Basic DJ Template you can check out for free. 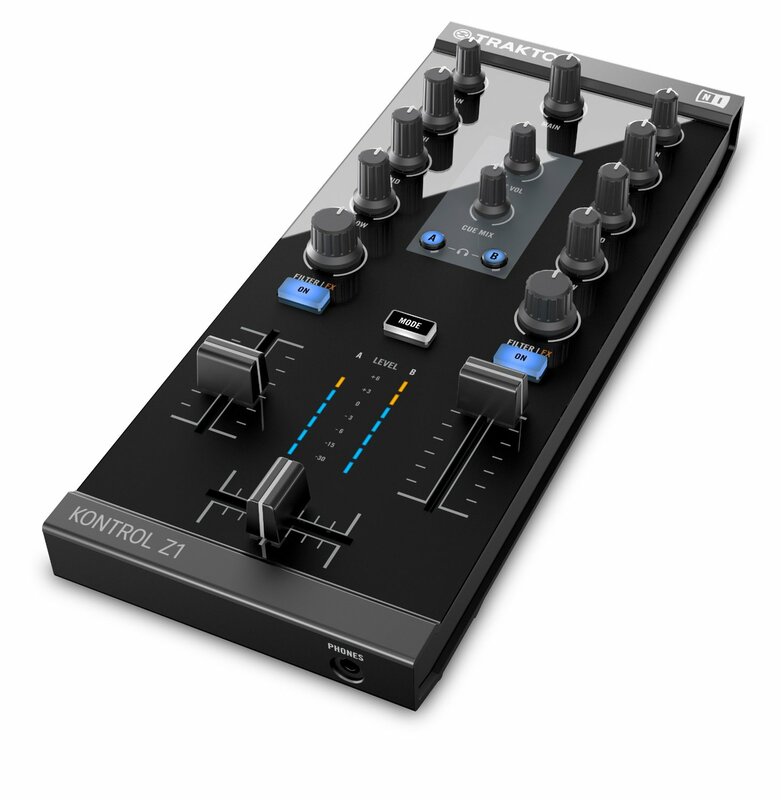 It is a basically A DJ template with some needed effects and tools. I also included a few original Rentak jungle tracks for my junglists out there. This entry was posted in Ableton, Ableton Lessons, Ableton Template, DJing with Ableton, Free Content, performing with Ableton Live on February 15, 2016 by Jimmy Allison.